The stuff we carry in our pockets, such as keys, wallet and cell phone, is typically considered our EDC gear. The acronym stands for “everyday carry”. 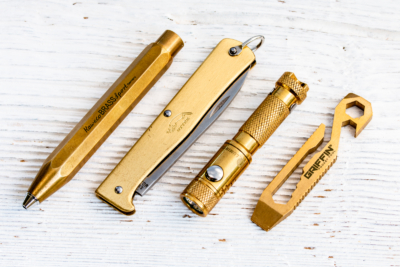 The brass EDC kits presented here are intended for use in an urban environment. They usually contain at least a pen, a knife and a flashlight. 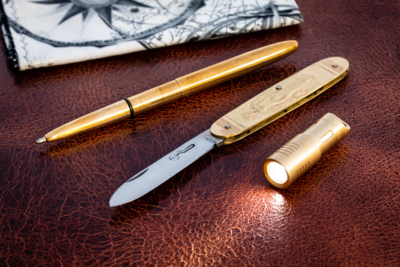 The four items I chose for this brass EDC kit are fairly affordable and readily available in most countries.